Pairing wine and chocolate can be tricky but it can be done and Chocolate Lover’s Month is the perfect time to do so! Follow these simple guidelines and check out these new interesting ways to enjoy wine and chocolate. 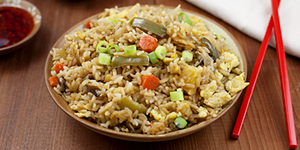 Your palate will be jumping for joy! You have made it through another day. The kids are finally in bed and are actually sleeping, the kitchen is clean, and the house is quiet. For me, this time of day is pure bliss. It is my time. I usually savor this time of day with two things: wine and chocolate. 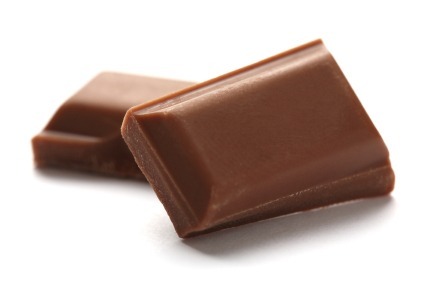 Pairing wine and chocolate is tricky business. Two of life's greatest pleasures can be the hardest to pair together. Wine and chocolate are both decadent and pleasurable and a delight to have together, when done correctly. 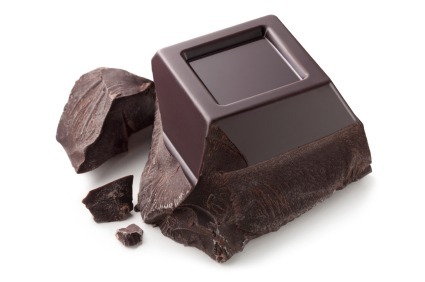 People often reach for red wine and sweet chocolate, however, the sugar in the sweet chocolate can make the tannins in the red wine taste ultra bitter. You need to balance sweet with sweet. A good rule of thumb is to keep the wine as sweet as the chocolate. 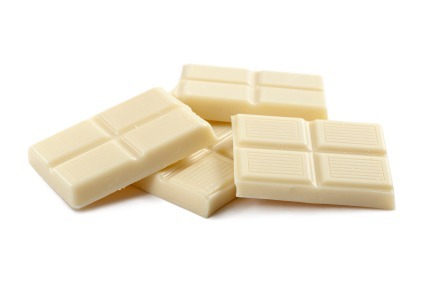 White chocolate has a lot of sugar and very little cocoa, so pair white with white. Try Ice wine, sweet Muscat or a sweeter style Riesling. Try a ripe and juicy Pinot Noir from California or a dessert wine, like an Australian sticky. The chocolate that pairs best with red wines. Try Zinfandel, Merlot, Cabernet Sauvignon (preferably ones that are not too tannic, unless your cocoa content is high). From cake to mousse to soufflé, chocolate desserts are popular and delicious. Port wine is classic to pair with all types of chocolate, truffles and cakes — particularly tawny port. Due to the nutty flavor, Tawny Port matches well with chocolate desserts with nuts in them. Try also Australian Muscat, Banyuls or other fortified wines. Don't want to try and pair wine and chocolate by yourself? Try these delicious wine and chocolate products for a delicious sweet treat! 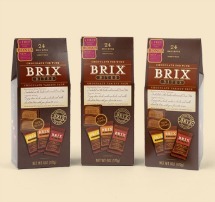 I love these Brix Bites made by BRIX Chocolate for Wine. Sometimes all you need is just one quick bite of chocolate to satisfy that sweet tooth! This combo pack has 3 (6 ounce) boxes, each containing 24 Brix Bites: 24 Extra Dark Bites, 24 Medium Dark Bites and 24 Assorted Bites (10 Extra Dark, 10 Medium Dark, 4 Milk). Holy yumminess! Champagne truffles are to die for. Jacques' Champagne Truffles, filled with Champagne Taittinger, are a mouth-watering combination of milk chocolate, fresh cream and Taittinger Brut La Française Champagne. Say what? Wine cupcakes? Oh yes! 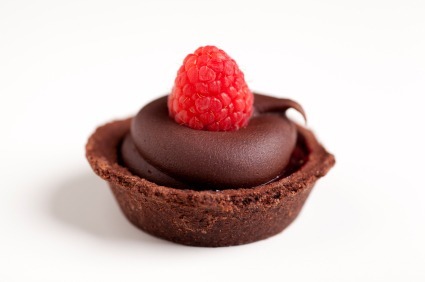 Enjoy Cupcakes makes a variety of wine cupcakes, including this Chocolate Raspberry Syrah Cupcake. 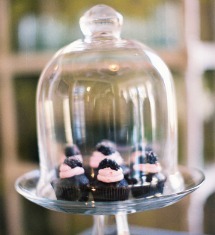 Chocolate, Syrah-infused cake, filled with dark chocolate Belgium fudge, topped with blackberry frosting and a wine soaked blackberry that's rolled in sugar crystals.